Looks like OnePlus 2 might not be able to uphold the ‘Nexus Killer’ reputation held by its predecessor, OnePlus One. Previously, it was reported that the smartphone was going to feature a sub-$450 price tag, but now, OnePlus’ rivalling Chinese company Xiaomi might present a much more affordable smartphone solution. 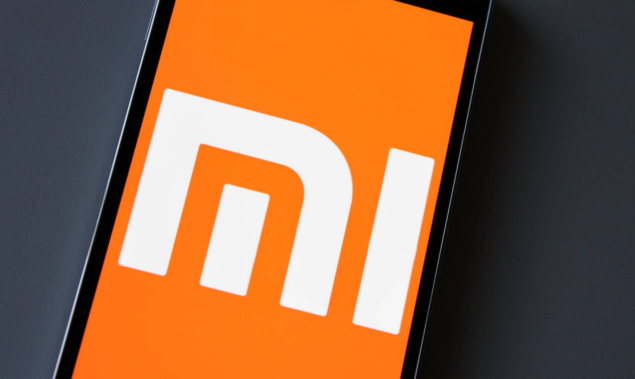 According to the latest leak, Xiaomi Mi 5 might feature a sub-$400 price, and after seeing that the smartphone will most likely be running a Snapdragon 820 SoC, our purchasing decision will definitely go through an immediate shift. Chinese microblogging website Weibo has been the hub of several hardware leaks related to smartphones. 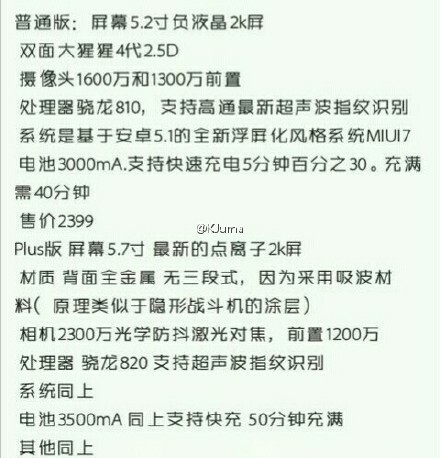 On this occasion, the text related to the leak might have been written in Chinese, but the figures concerning hardware and pricing details could not be more evident than this. According to the details stated in the image (image present below), the price of the upcoming handset is going to be 2,399 Yuan, which is equivalent to $386 USD. While this is becoming hard to fathom, we had believed that Xiaomi Mi 5 was expected to feature a price tag that would be less than $600. Of course, the leak is yet to be confirmed, but imagine if this was the actual retail price of the handset? OnePlus 2 would definitely be standing between a rock and a hard place. Other specifications of Mi 5 include a 16 MP rear camera sensor that will feature an optical image stabilization chip. The jaw-dropping rear camera sensor will be supplemented by a 13 MP front camera sensor, and might even snare the award for being the best selfie camera to be released in 2015. According to the image, it also states that the handset will feature a 3,500 mAh battery, which is a much needed upgrade over the 3,000 mAh cell present in the company’s Mi Note Pro. Seeing as how Snapdragon 620 was able to perform really well in leaked benchmarking results, we can expect Snapdragon 820 to perform outstandingly when Xiaomi Mi 5 is taken for a bench run. As for the $386 price tag, we will be treating it with a grain of salt and wait for more leaks to come through. However, if the price tag does end up being true, would you consider purchasing Xiaomi Mi 5 over OnePlus 2? Let us know your thoughts.